I know I have been enveloped the launch of Hiram Walker’s new Caramel Apple Liqueur, that I thought it time to switch gears momentarily. When it would have otherwise passed under my radar, I noticed a tweet yesterday afternoon from Tasting Panel, via Party Planner, announcing that September 15 was National Créme de Menthe Day. It also happened to be National Linguini Day, but I fail to see any sort of parity there. 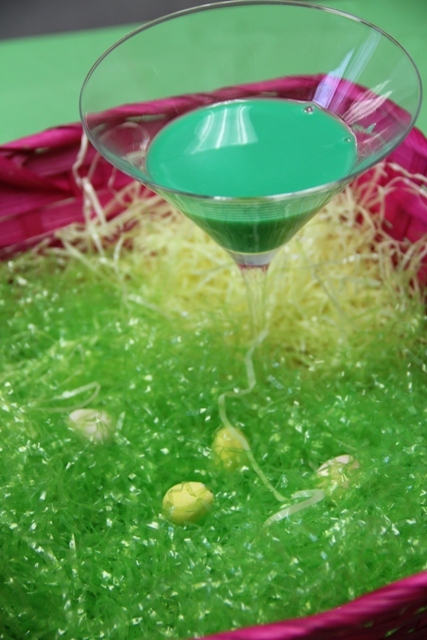 I can’t think of a drink more commonly associate with Crème de Menthe than the Grasshopper, a cocktail shaken with equal parts Green Crème de Menthe, Crème de Cacao and cream. But coming from this recipe are innumerable variations, among which you may find the Flying (add vodka in place of the cream) or Frozen (just add mint ice cream) Grasshopper. Cheers to Drinking and Drawing! 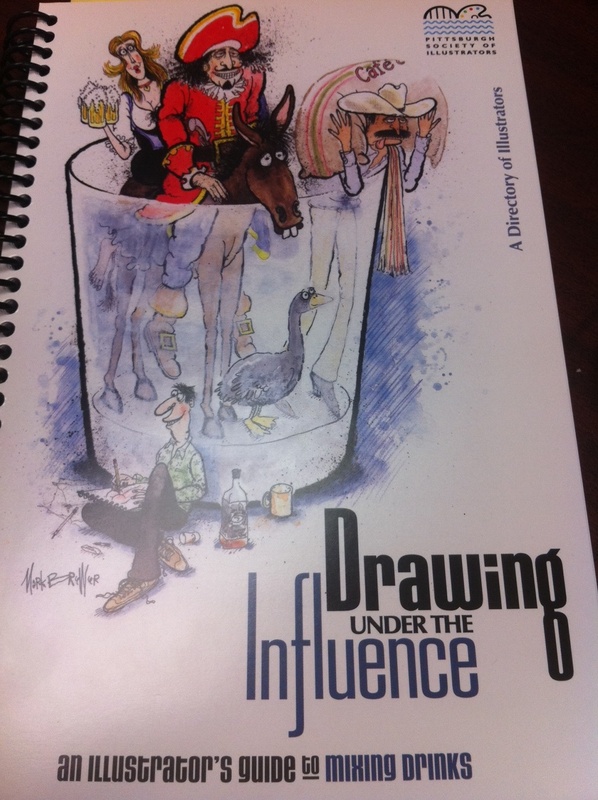 Cover for the directory of the Pittsburgh Society of Illustrators - this year's theme was "Drawing Under the Influence"
With cocktails serving as the muse, a contingency of members from the Pittsburgh Society of Illustrators ushered in the opening of the gallery exhibit “Drawing Under the Influence” with – what else – a number of cocktails that were conjured up by the illustrators themselves. Of course, not cocktail guide from Pittsburgh would be complete without a submission and illustration from Dr. B himself! But I better leave that one to him sharing for himself… 🙂 In the meantime, if you want to see pictures from the event (including Craig bartending!) visit the gallery website here. Many thanks again to Doctor Bamboo for including Hiram Walker in his back bar for the gallery opening. Hiram Walker is launching a new year-long program that invites cocktail enthusiasts to get involved and submit their own original drink recipes for a chance to win an Apple iPad®. “The Quest” is Hiram Walker’s journey to find the country’s best cocktails, and the first leg in the journey launches online on September 15. Below is the press announcement, which you can read in its entirety on PRWeb.com. New York, N.Y., (September 06, 2011) – Hiram Walker, the exceptional line of all-natural and premium schnapps, liqueurs, brandies and triple sec, today announces the first chapter in The Quest, a search for the country’s* greatest cocktail creations. The Quest invites the bravest cocktail voyagers and at-home entertaining enthusiasts to compete for an Apple iPad®** by submitting innovative cocktail recipes utilizing either one of Hiram Walker’s select fall-flavored liqueurs and schnapps or Kahlúa® Rum and Coffee Liqueur. On the first leg of The Quest, “Fall Drinks”, consumers will venture to win the significant prize by creating an autumn-inspired cocktail that features at least one of the following ingredients: Hiram Walker® Caramel Apple Liqueur, Hiram Walker® Original Cinn Cinnamon Schnapps, Hiram Walker® Pumpkin Spice Liqueur, Hiram Walker® Butterscotch Schnapps or Kahlúa®. A panel of experienced judges will narrow down the entrants to a semi-finalist round where Hiram Walker’s participating Facebook®** fans will have a voice in selecting the winning cocktail recipe. The Fall Drinks cocktail journey opens to consumers on September 15, when the newest Hiram Walker flavor, Caramel Apple Liqueur, hits retail shelves. 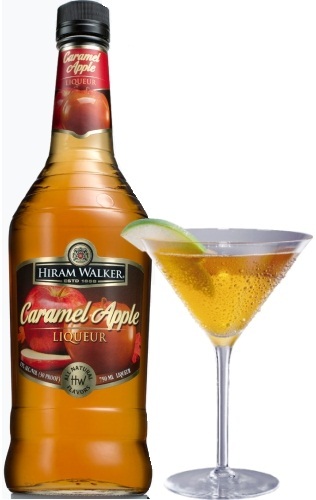 Like all 39 Hiram Walker flavors, Caramel Apple is made with the all-natural flavors of sweet caramel and crisp red apple, serving as a versatile cocktail ingredient to a variety of drink recipes. …Think you have what it takes? 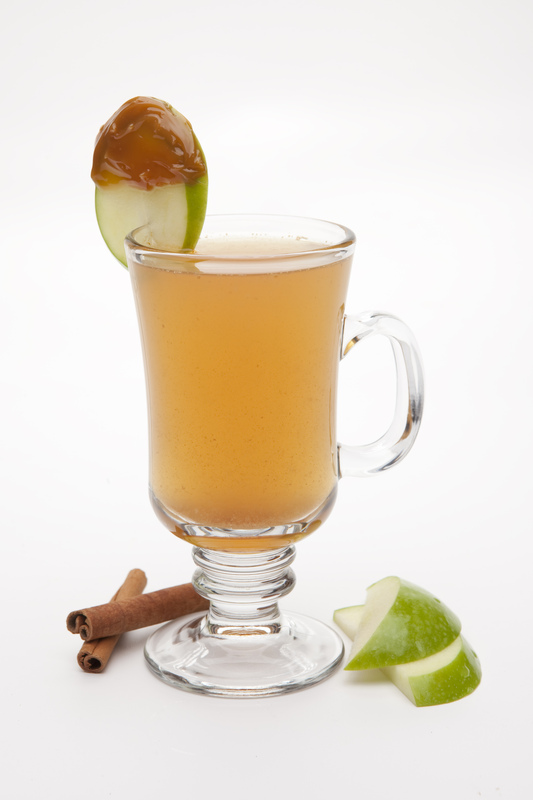 Share your drink on the Hiram Walker Facebook page and enter for a chance to win an Apple iPad®. 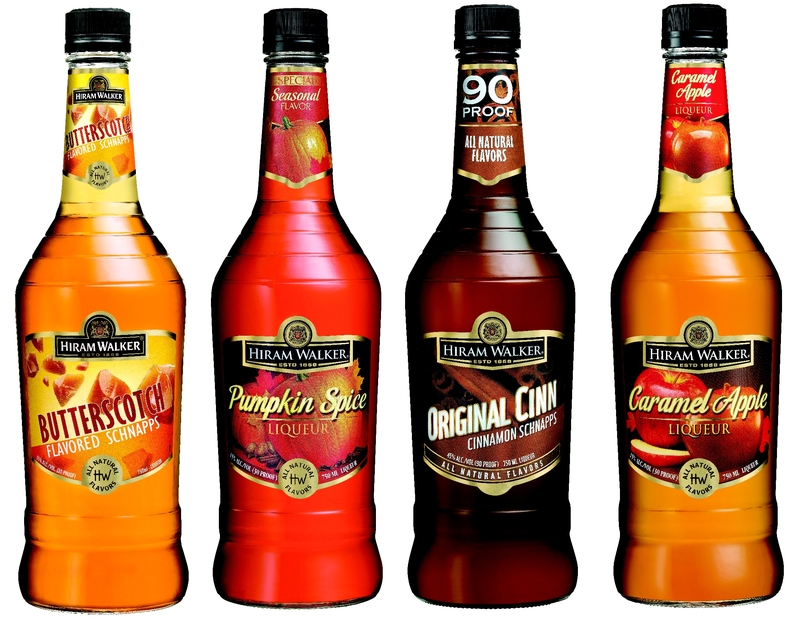 To enter the competition, visit Hiram Walker on the web at www.HiramWalker.com or www.facebook.com/HiramWalkerUSA and upload a Fall Drinks recipe by October 31, 2011. Must be at least 21 years of age to enter. No purchase necessary. The official rules and regulations can be found on the Hiram Walker website. Although the cocktail contest does not open to submissions for another week, now is the perfect time to start mixing and crafting that exceptional winning cocktail!